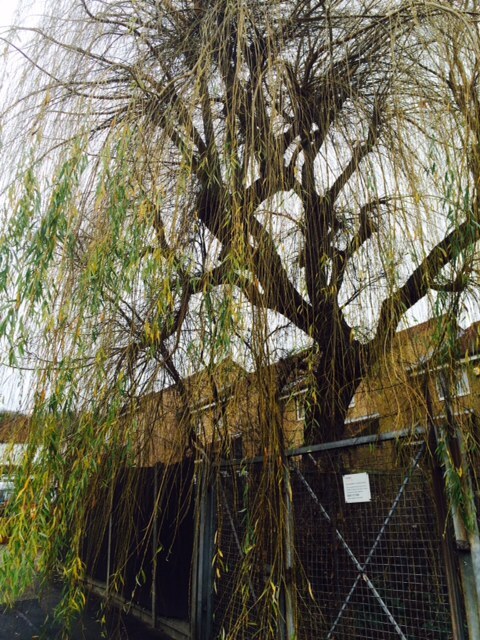 What can we learn from a Weeping Willow Tree that sheds in the winter in preparation for the Springtime? Perhaps it’s the solitary nature of the tree that seems to not be directly connected to the land of any of the houses on either side that gives it it's right to spread out into the surrounding air space spilling over abundantly onto the pavement and walkway. Walking past the tree requires either stepping into the road and strongly increasing your chances of being hit by one of the many cars that race daily up and down this road or delicately pushing your way through the dangling rope like catkins of the willow branches hanging like curtains that need to be pushed apart so you can take your next step. It won't be long before the tree's hanging branches will hit the road and the bodies of the cars obscuring windscreens before I suspect something will be done about cutting it back, I hope not too drastically. Then last week as I headed out for my early morning walk around the neighbourhood I looked up the street in the trees direction and realised almost overnight she had gone almost bald. The lime blushed green of the trees long dangling catkins had been thinned out and threadbare, washed out from the lack of green chlorophyll that turns leaves green. I do not write these words from a distance. 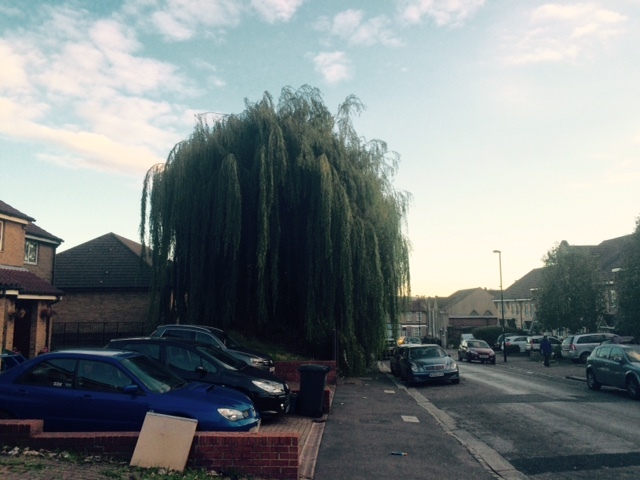 I am as close to the Willow tree geographically as I am emotionally and psychologically. I too am rendered bare in many areas of my life right now as I rebuild the process of starting over. The space feels tender and vulnerable sure signs that there is a need to rest so cells can be renewed and spirits and energies replenished. "Our cells sometimes need to fall like leaves from the trees before they can regenerate and be renewed," writes Madison Taylor in one of her weekly blog posts on the Daily Om website. 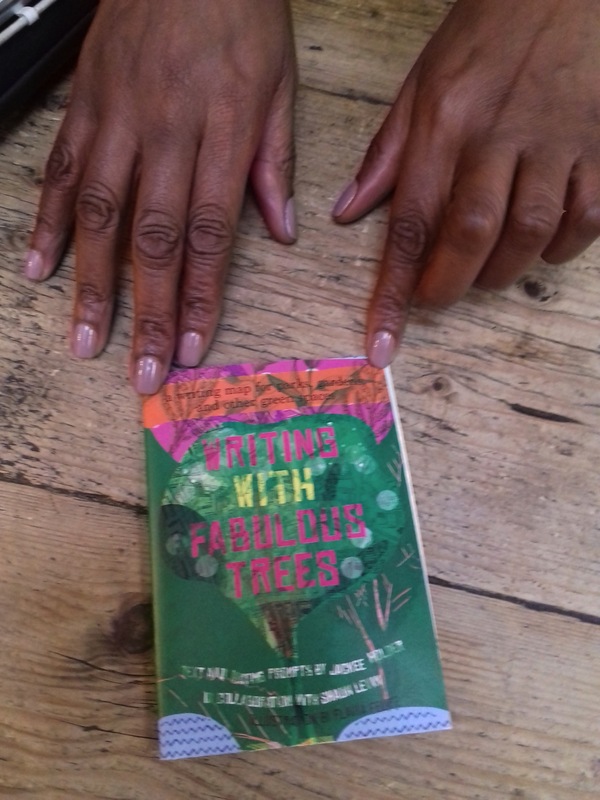 It's an illustrated collection of 12 Tree inspired writing prompts that explores the wisdom and lessons we can learn from trees as well as how tree wisdoms can provide insight and reflection on our own lives. 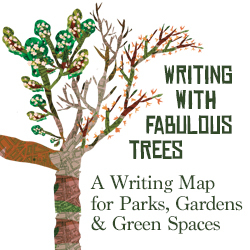 In a handy pocket sized map that folds out the prompts also encourages a more intimate connection with the trees in your local neighbourhood, parks and green spaces through engagement with the writing prompts.